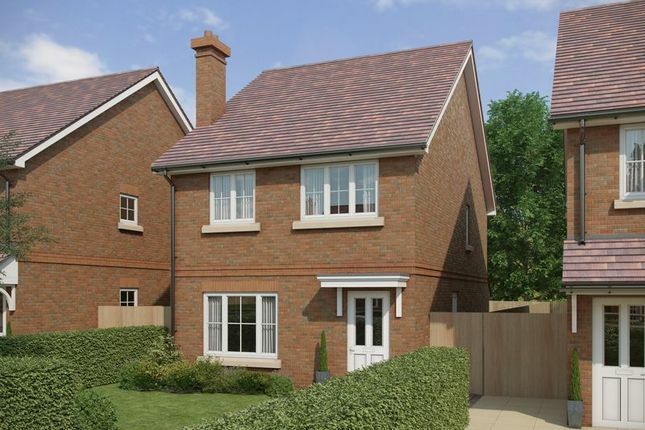 The Wickham is a brand new three bedroom, detached house arranged over two floors and benefiting from off road parking. On the ground floor is an open plan kitchen/dining/family room with integrated Bosch appliances including induction hob, fan assisted oven, microwave oven, dishwasher, 50/50 fridge freezer, washer dryer. Bi-fold doors opening out onto the garden make this a lovely light and airy living space. The ground floor is finished off with a separate lounge and cloakroom. Employing the latest building techniques will ensure that all future owners enjoy a home for life. The use of under floor heating to all floors in conjunction with air source heat pumps, low energy LED lighting and high levels of insulation will translate to low running costs. A picture perfect village with great commuter links, The thriving parish of Corhampton and Meonstoke lies on the Eastern bank of the River Meon and boasts a village shop, post office, The Shoe and Bucks Head public houses. A wider range of shopping and amenities can be found at the nearby historic, market towns of Wickham and Bishops Waltham. Families are well catered for with both Meonstoke Pre School, Infant and Droxford Junior school all achieving Grade 1 – Outstanding by Ofsted.